This is a big year for South Africa and BRICS. The country assumed the role of chair of BRICS on January 1 and will remain in this position until December 31. In addition, the year is a milestone as the 10th BRICS Summit will be hosted in Johannesburg on July 25-27, which will be preceded by numerous sectorial BRICS ministerial events and meetings. South Africa regards BRICS as a catalyst to its core foreign policy priorities, such as promoting the African Union (AU) agendas and the UN 2030 Sustainable Development Agenda, advocating for global governance reforms, and embodying South-South cooperation and solidarity in a spirit of mutually beneficial collaboration. From a global South perspective, BRICS is one of the foremost world mechanisms born in the post-Second World War and Bretton Woods' period that pertinently addresses the needs of the global South. In the past decade, BRICS has evolved and expanded its mandate beyond the initial economic focus that brought the members together to include political, security, social and other relevant matters. It has established its own viable, credible and internationally comparable financial institutions, namely the Contingent Reserve Arrangement, the New Development Bank (NDB) and NDB Africa Regional Center (ARC). In fact, it was in South Africa in 2013 that the BRICS leaders first deliberated and endorsed these key institutions. What BRICS has achieved in this context shows it has been a resounding success. South Africa has, from the onset of joining BRICS in late 2010, aligned its efforts in BRICS with those on the African continent. This has seen BRICS' support for African developmental aspirations, notably through backing Africa's own vision as embodied in the AU Agenda 2063 and related continental programs, to advance industrialization and infrastructure development on the continent. This will enhance intra-Africa economic cooperation and integration initiatives. One of the core mandates of the NDB ARC is to mobilize resources for infrastructure and sustainable development projects in BRICS and other emerging economies and developing countries. The African continent is integral to the vision and mandate of the NDB ARC. Through the center, the continent will benefit from funding of its infrastructure projects, and also from the idea that the NDB ARC will ideally serve as an African center of excellence that specializes in capacity building and technical assistance. South Africa is firmly of the view that Africa-BRICS cooperation presents new possibilities for regional integration and broad-based economic development through internationally balanced trade relations, highly needed financing of infrastructure, transfer of technology and skills as well as social and cultural exchange. South Africa values its membership of BRICS since it enables promotion of economic development through enhanced trade and investment, expands sectors in which South Africa holds a comparative advantage and even provides overseas investment opportunities for South African enterprises. BRICS also provides South Africa an opportunity to influence policymaking and alignment among developing countries to make the international economic system more inclusive. South Africa has historically had strong bilateral ties with other BRICS members. Since joining BRICS, South Africa has seen a complementary interaction between this multilateral cooperation and the existing bilateral cooperation. In this regard, South Africa and China have enjoyed excellent economic relations over many years, which are underpinned by the Comprehensive Strategic Partnership as well as the Five to 10-Year Strategic Plan on Cooperation (signed in 2010 and 2014 respectively). South Africa-China bilateral trade and investment ties have grown exponentially over the past 20 years and that trade has increased from only 1.8 billion rand ($137.9 million) in 1994 to 318 billion rand ($24.4 billion) in 2017. China has been South Africa's largest single country trading partner since 2009. 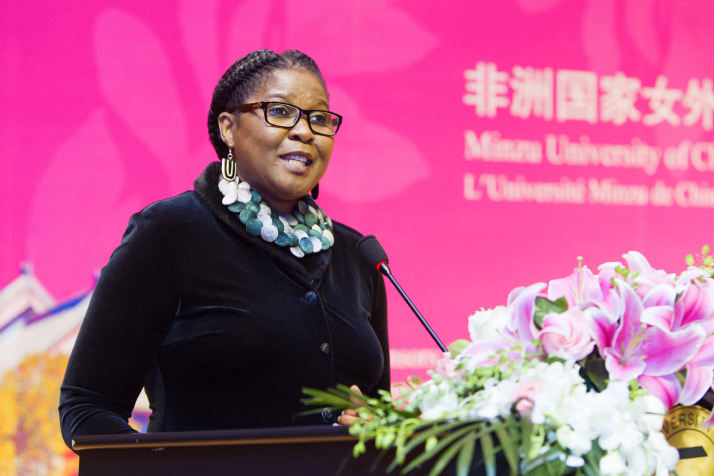 A new layer to the burgeoning relations between South Africa and China is the South Africa-China High-Level People-to-People Exchange Mechanism (PPEM) which was launched in South Africa in 2017 by Liu Yandong, then Vice Premier of China. The PPEM will allow the two countries to exchange information, identify common objectives and strategies and create opportunities for peoples in both countries to benefit from the sharing of social, cultural and economic capital across government, academia, business and civil society. The Second Meeting of the PPEM is scheduled to take place in China later in 2018. It may be recalled that South Africa first hosted the BRICS Summit in eThekwini (Durban) in 2013. This summit saw the creation of the BRICS Business Council and also initiated the negotiations for the setting up of a BRICS bank, which was later established as the primary outcome of the 2014 BRICS Summit in Fortaleza, Brazil under the name NDB. It will also be recalled that South Africa initiated the BRICS outreach mechanism when it hosted, on the margins of the BRICS eThekwini Summit, a BRICS-African Leaders Dialogue Forum Retreat that was attended by 12 African Leaders, representing the AU, the New Partnership for Africa's Development and the eight AU Regional Economic Communities of Africa. This model has since been replicated by subsequent hosts and South Africa hopes to build further on this initiative as the current chair. As chair of BRICS, South Africa will ensure continuity of programs for BRICS, and is committed to executing approximately 100 sectorial meetings, reflective of the expanded BRICS architecture. A specific focus will be given to the challenges and opportunities presented by the Fourth Industrial Revolution. The theme for the 10th BRICS Summit is "BRICS in Africa: Collaboration for Inclusive Growth and Shared Prosperity in the Fourth Industrial Revolution." This theme is reflective of the core priorities of each of the BRICS members, notably to strive toward the creation of an inclusive society and global partnerships that will bring prosperity to all mankind. In accordance with the BRICS tradition of outreach and cooperation with fellow developing and emerging economies, which was started by South Africa in 2013, a two-pronged outreach approach through the BRICS-Africa Dialogue and the BRICS Plus cooperation during the summit will also be pursued. With regard to the BRICS-Africa Dialogue, South Africa will invite the leaders of Rwanda, Senegal, Gabon, Uganda, Ethiopia, Togo, Burundi, Namibia and Angola, as well as the chair of the African Union Commission. South Africa intends to further engender a meaningful and productive interaction between BRICS and African partners, while attempting to contribute to the BRICS institution-building agenda, through the two proposals, namely, the establishment of a working group on peacekeeping and a virtual vaccine research platform. As in 2013, a leaders' outreach session will be incorporated that includes African partners. South Africa will also feature the BRICS Plus practice introduced by China in 2017, aimed at building wider partnerships through dialogue with other developing countries and international organizations. As chair of BRICS 2018, South Africa seeks to solidify the BRICS partnership and foster greater mutual understanding among peoples of BRICS member states. The intention from the onset has been to make meaningful and qualitative contributions to the operations and institutions of BRICS. This is reflected in the key proposals put forward as BRICS chair in 2018, and it is trusted that the full support of South Africa's partners will strengthen these proposals and bring them to fruition. • South African President Rejects Claims of Chinese "Colonialism"